Organizes gear for a day of action. 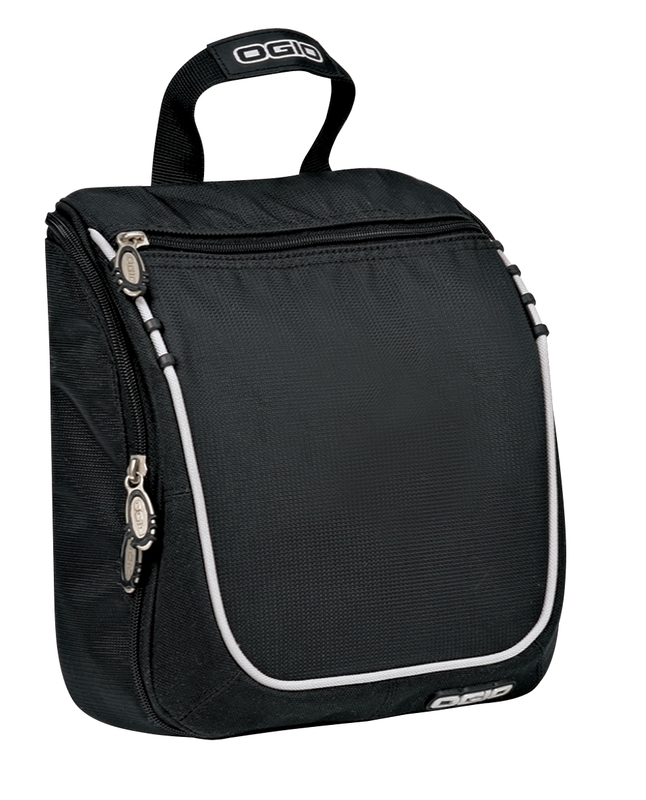 Great for travel or gym.600D poly/420D dobby poly Top webbing carry handle Swivel hook for easy mount Multiple compartments for toiletries and accessories Dimensions: 10.5 h x 9 w x 4 d Capacity: 309 cu.in./5.1L Weight: 0.65 lbs./0.3kgNote: Bags not intended for use by children 12 and under. Includes a California Prop65 hangtag.